We develop custom applications using Personal Computers for controlling Automation Systems, both Industrial and Home Automation. In the industrial area we have developed software to control concrete and asphalt batching plants, and systems for controlling a national video switching network. See below for examples of our applications. We can develop applications for anything that can be controlled by a PC. Usually the PC provides the human interface and then takes care of doing the actual control functions in real time. Sometimes it is desirable to interface the PC to a PLC, so the PLC takes care of the real world voltages and safety interlocks. Our expertise includes a wealth of experience with serial interfacing and protocols. If you have a piece of equipment that needs to be given additional smarts by being controlled or monitored externally, then we can help. The majority of our automation applications involve system design and PC based software development, however we often also develop custom hardware, including embedded processor controllers, as required to support our systems. If what is required cannot be achieved entirely in software or with off-the-shelf hardware, then we can design special hardware to do the job. We are happy to discuss your requirements with you - give us a no obligation call or send an email. Digital Graphics has designed and written specialised control software for the Ready Mixed Concrete and Asphalt Industries. The systems utilise PCs controlling PLCs to control the real time operations of the batching plants, including weighing of the various materials and chemicals and the sequenced discharge of the batched materials into the trucks. The PCs provide the user interface, which is designed to require the minimum use of the keyboard. The PC also stores the mix design details for an unlimited numbers of products, and logs batching information for later analysis. The SCATS system, developed for Telstra by Digital Graphics, controls the real time switching of the video and associated audio circuits in Telstra's (now defunct) National Analogue Video Network. SCATS is an acronym for Switching Control And Tail Switching . The Tail Switching part refers to the control of the circuits between the Telstra switching centres (TOCs) in each capital city and the television stations. These circuits are called tails and each TV station has a PC connected back to SCATS to provide them with control of their leased tails. The Tail Switching system is called CITS (Customer Initiated Tail Switching). The system involved PCs in each capital city with up to 48 serial ports interfacing to remote video switchers. An innovative system for controlling arrays of parabolic concentrating solar troughs. The system incorporates small controller boards with onboard inclinometers on each trough that are networked to a field control board, which in turn is networked to software running on a remote PC. The PC is responsible for calculating the optimal tilt angle for the troughs to follow the sun and monitoring and logging the field. The PC also interfaces to a PLC that controls other equipment in the thermal system. We have recently developed a system for the automatic weighing of commercial poultry, affectionately known as ChookMon. This project involved some custom controllers to interface to the scales and to transmit the data from multiple sheds to a central laptop running a custom display and logging application. As well as the weights, the system also monitors temperatures, water consumption and humidity in the sheds. 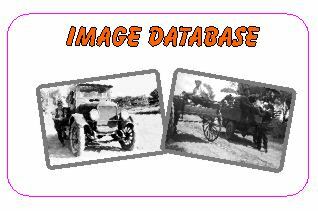 We developed IDA , an online Image and Document Archive that is aimed at Historical Societies, clubs and such to put their photo and document collections online. It provides for an unlimited number of images and documents to be easily retrieved using a powerful search facilty. It incorporates a link to the Trove system provided by the National Library of Australia. We can make this inexpensive system available for anyone who needs it. Read more about IDA . Click the logo to see it in action. A simple, customised, web based Point of Sale system designed for use on a tablet or other cheap hardware. This was our first Raspberry Pi project. The goal was to design an inexpensive system that was customised to require the absolute minimum number of clicks. We'd be happy to discuss customising it to your requirements. A highly customised membership database for a voluntary organisation with around 2500 members. It includes provision for recording volunteer hours and interfaces to a payments gateway for direct online renewals.